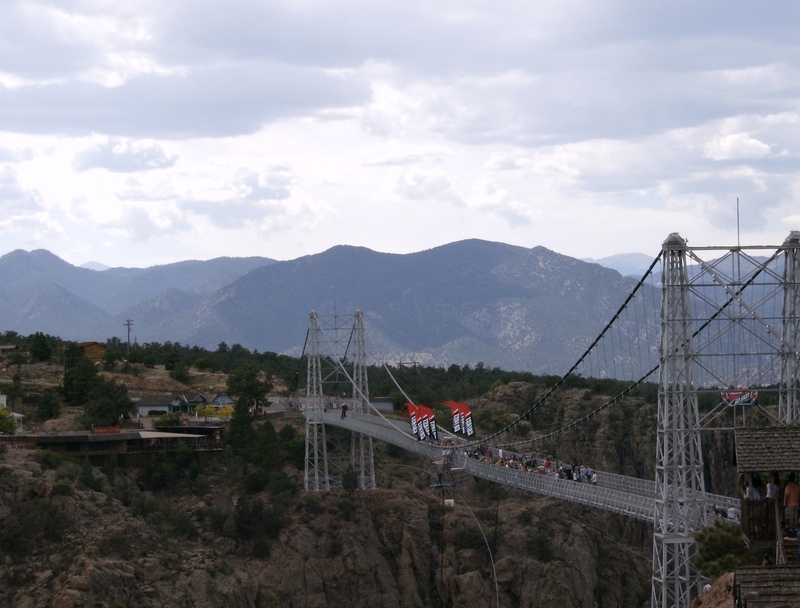 Last weekend a big crew of us took off to the Royal Gorge, Colorado for the Go Fast Games, which is a really awesome BASE event that we get to jump off the worlds highest suspension bridge into a narrow and scary canyon for three days, it was awesome!!! I went last year and watched and was sooo excited to get to participate this year. On the way out we stopped and met up with some more people in Rifle and Ted Davenport took a crew of 11 of us up to his local cliff “W hotel,” a gorgeous 800 footer with probably a thousand feet of hillside after that. It was amazing! Zoo load!!! Then we arrived at the Royal Gorge, got all registered- paperwork, paperwork, and more paperwork- 9 am the next morning we switched to sending mode and got to work. We also spent the time filming with none other than Glen Plake, doing an episode for his “Reel Thrills” show. Plake hit up the bungee from the bridge- pretty hillarious. It was cool meeting a total legend and the first pro skier I ever even knew about! 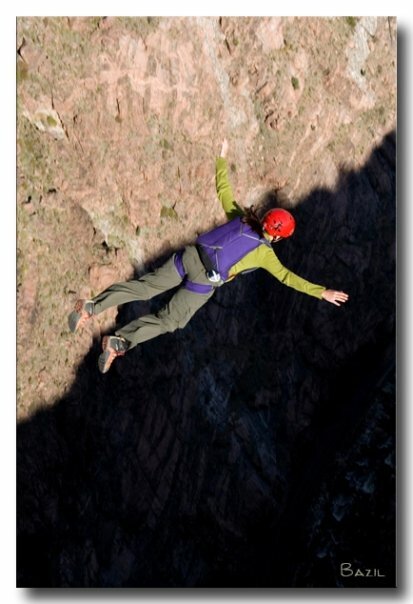 Previous postThailand/KL International Base Jump 2008! !